I first heard about HM Land Registry’s (HMLR) plans for a centralised, digital Local Land Charges (LLC) Register when I met their Stakeholder Engagement Manager, Jamie Winch, at a couple of conferences. As it appeared to be something that would be a growth area in the sector, I was happy to help where I could! I’ve attended two customer focus groups at HM Land Registry in Nottingham. This has enabled me to keep up to speed with the developments of the LLC Register and to provide my input on how the product could be improved. The focus groups have been invaluable as all participants contributed to the discussion and this certainly helped to shape the final product. The new LLC Register will make the process simpler, faster and cheaper for us in the conveyancing industry. Often the local authority search is one of the final things to be received during a property purchase, possibly some weeks after enquiries have been raised. Once that search has been received, you may need to make further enquiries of the seller or local authority to obtain further information, such as planning documents or compliance certificates. The LLC Register assists with providing this information up front for a purchaser as online results are available instantly, 24/7. The free option allows a seller or their solicitor to obtain a copy of the LLC Register entries when instructed on a sale. They can then try to obtain planning and other documents earlier in the process, before issuing the contract pack to the other solicitor. This can drive a more proactive approach and begin to reduce the number of enquiries being raised. This can only be beneficial in avoiding unnecessary delays and reducing transaction times overall. Also, if anything adverse is revealed in the planning information received in the LLC search result, we can advise our homebuying customers at an earlier stage and try to prevent them from incurring unnecessary expense. With the average conveyancing transaction seemingly taking longer each year, any new service that reduces late unexpected enquiries and transaction times will be beneficial to customers. Once all local authorities have been added to the register and all the data is correct, this should have a positive impact in reducing transaction times and costs incurred by a property purchaser. The six-month refresh service included with an official search means you can make sure a customer has up-to-date LLC information before they proceed to a legally binding contract. Customers can exchange contracts with confidence knowing they have the most recent data, at no additional cost to them. The future of conveyancing is very much being shaped by the introduction of technology. HM Land Registry is embracing this with the introduction of the LLC Register and the ongoing Digital Street project. The fact that they are also canvassing opinion from industry stakeholders on how it will impact them from a practical point of view has got to be a positive for the future of the register. 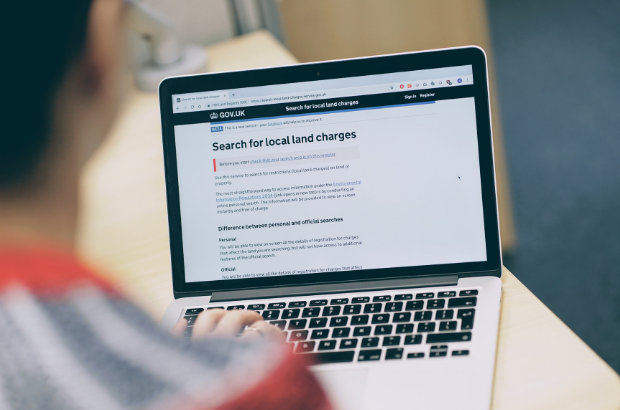 For more information about the Local Land Charges Register, watch a short video or read about the Local Land Charges Programme. This is great to hear. With the Transaction Reform 'Working Group' addressing other transactional issues, the prospects of significantly faster and smoother sale and purchases are now very real. This has to be better for the consumer and the relevant professions. This utopian vision is lovely but the reality is that not many councils have been digitised and it will take many years for this to be available from LR by which time the process will probably have been superseded by technology. We have purposely embarked on a phased transition of the service and throughout 2019 we will migrate the first phase of up to 26 local authorities. This phase will enable us to gain more information about our future phases and we expect the transformation process to speed up as we learn more from different local authorities. Digital is married to automation, engaging systems, allowing manipulation by some of those that operate it to gain financial edge neglecting the lives and homes of people behind them. Over two years ago spoke to the (nominated son) an offer to purchase from family the house next door but one (it was a blight on our street, had been neglected for 20 years and empty for 5. I knew of a care home debt and that it had equity release plan.I contacted the ER lenders a caller rang and said a sale will need to be quick and papers would be sent to I understood to the son and contacted a soliitor. I am convinced an estate agent colluded with the care home owner, who in February visited Next Door (divorcing with no desire to move) obtaining my details ringing me that she was buying it. Then in May a deveveloper offered to purchase mine, I had learnt next door was not sold . We have lived here 38 years distressed and worried I would lose my home. Meanwhile, next door but one service's have been ripped out, tree roots have penatrated the foundation,needed so more work, I am happy that a young family moved in next door but sad the estate agent engineered them to overpay by a considerable amount along with other costs, even charging them for information and searches I had provided. I was told by the estate agent I was barred regarding nextdoor but one. They have formally maintained they know nothing of next door but one. Just to be clear, this refers to the LLC register but will it also incorporate the information requested in CON29 enquiries? If not, will we not simply be waiting around for these anyway from the local authority and end up dealing with two authorities instead of one? We will only be providing the Local Land Charges service. Local authorities will continue to provide the responses to CON29 enquiries as they still hold all necessary datasets.